Translating the Gospel into the language of one’s parishioners, whatever the context, presents the parish pastor with a daunting daily challenge. 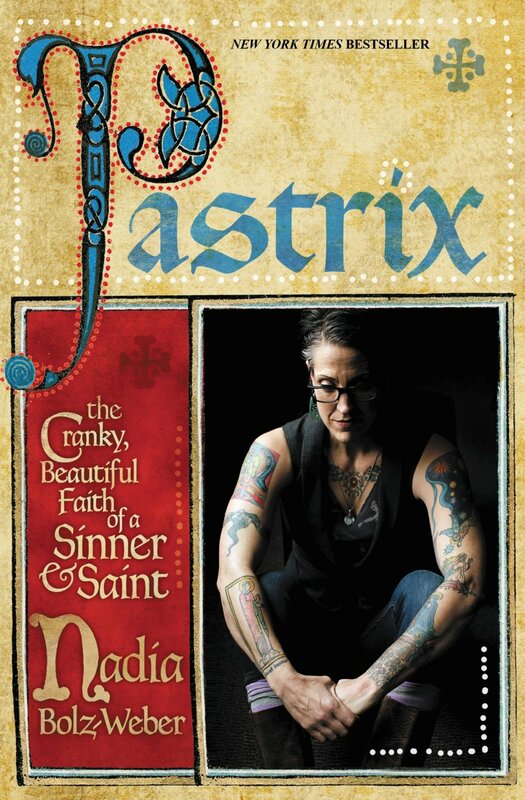 In Pastrix, Nadia Bolz-Weber tells the story of her struggle to find not just words, but just the right emotional tone to convey the shocking, scandalous, offensive, and wondrous grace of Jesus to a congregation of saints and sinners deeply aware of their brokenness. 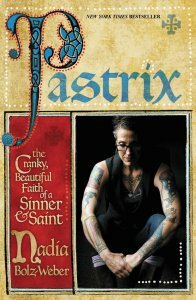 Middle-class suburban mainline Protestants might mistake her theological reflection for the profane exclamations of the captain of a pirate ship, but within the context of her congregation, the House for All Sinners and Saints, Nadia Bolz-Weber proclaims the Gospel of Jesus Christ in bold and clear translation. Once the eyebrows have been untangled from wigs, and the faint of heart have revived, even the shocked may also be awed by a starkly honest tale of grace and redemption—a prodigal daughter who returns to Jesus with a congregation of sinners and ragtag saints she picked up along the highways and byways at brothels, gay bars, dens of iniquity, and a pig sty, trailing behind. A pastor with Nadia Bolz-Weber’s larger-than-life presence (if you only read one book this year by a six-foot-tall woman recovering from addiction, fundamentalism, and Grave’s disease, former Church of Christ now Lutheran pastor with a tattoo of Mary Magdalene, well . . .) has to struggle with the challenge to become transparent that others may see Jesus more clearly. She is an operatic figure turned loose on the world, and yet, somehow, she pulls the rug out from under her own grand personality to show us the radical grace of Jesus Christ. Bolz-Weber’s confessional honesty, along with her self-described “misanthropic personality” provide a deep well of illustrative material for her theological proclamation of grace for all. Her prose dances with the rhythms of her former life as a stand-up comic, but her days of using comedy to distract herself and others from the darkness have passed. Her comedy now serves as a vehicle of the grace to which she, and all of us, cling. Her raw accounts of failure in every attempt to chart her own path of salvation will lead honest parish pastors to recognize ourselves, our self-deceiving fantasies of self-reliance and success through sheer competence, hard work, and charisma, and follow her into deep darkness where she points to the light of resurrection that no darkness can overcome. This review was published originally in Seminary Ridge Review, the journal of Lutheran Theological Seminary at Gettysburg. Thanks to Poetry and Theology Editor Katy Giebenhain for the invitation to write it and permission to post here after publication. To receive a free e-book on reading Scripture in context, Cheaper Than A Seminary Education, sign up here for my newsletter, also free. Neill, I tried to post this review on my FB wall, but something didn’t work. I would like to buy the book after your review – especially regarding comments after a loved one’s death. Neill, just to let you know I have read review and purchased to my Amazon Cloud and also let Nancy know the book is there along giving her a link to your review. Best of the New Year to the family.